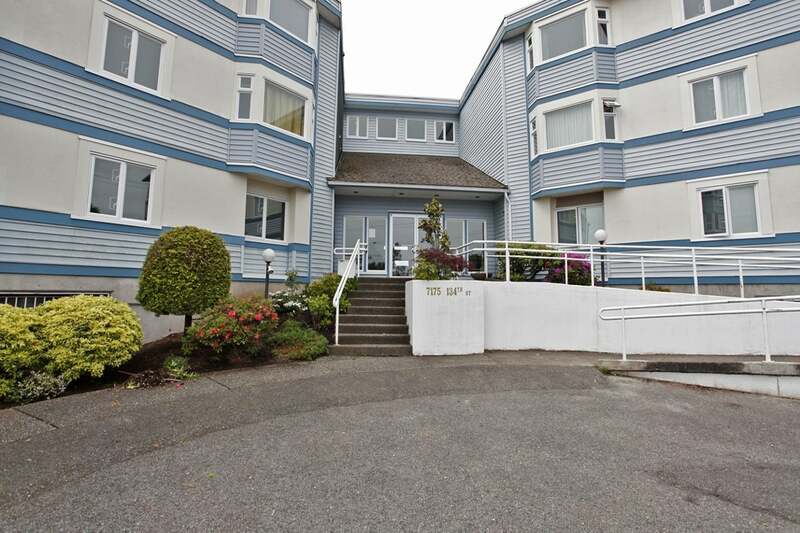 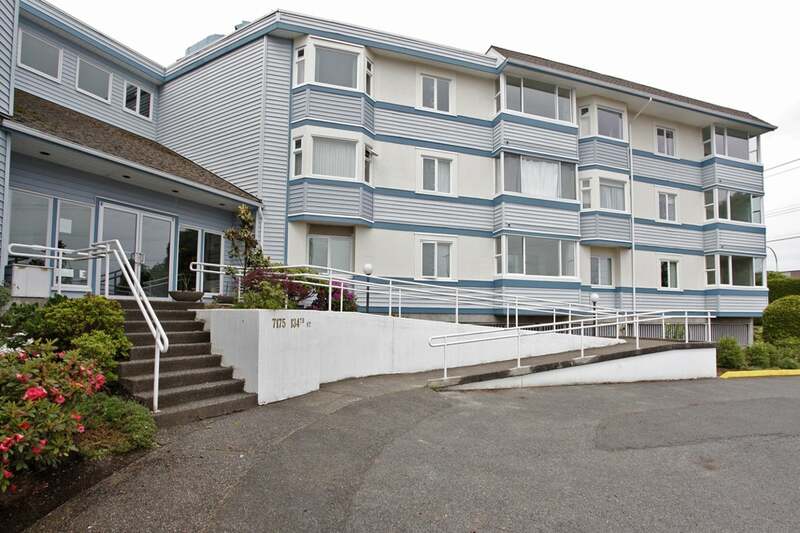 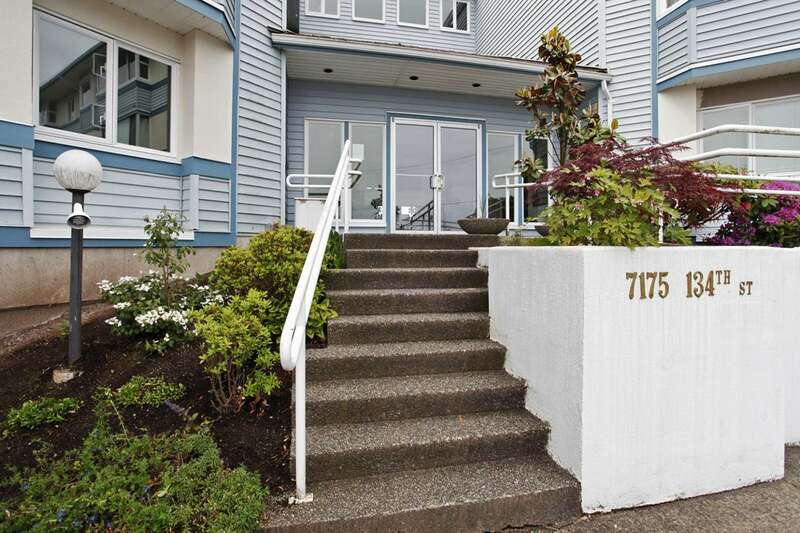 Bright top floor, quiet, south facing unit is located in a very well run building. 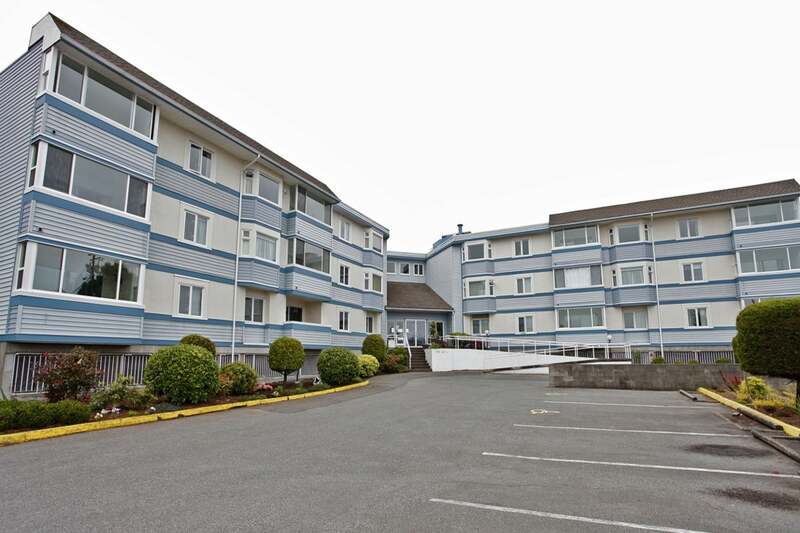 Skylight in kitchen, laminate flooring, large balcony, large walk-in shower, spacious rooms, maintenance fee includes hot water. 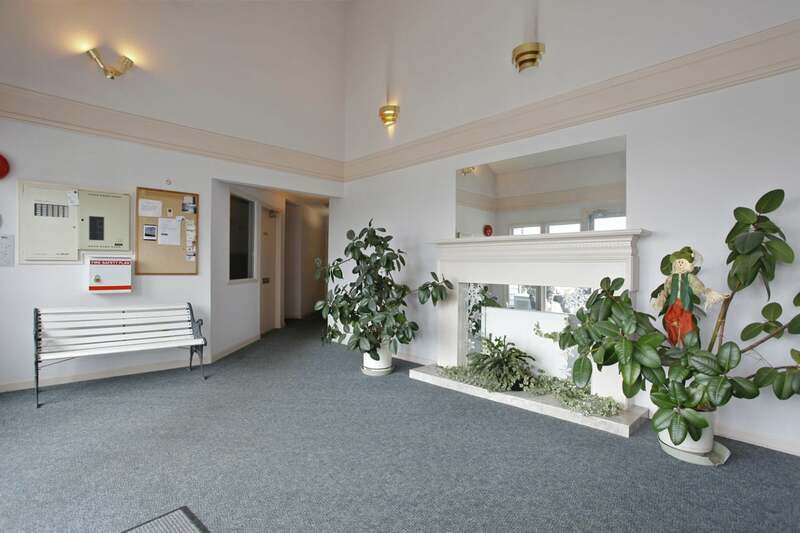 Central location, close to many amenities!